The physical exams required by fire departments are not the same for all state and federal agencies. 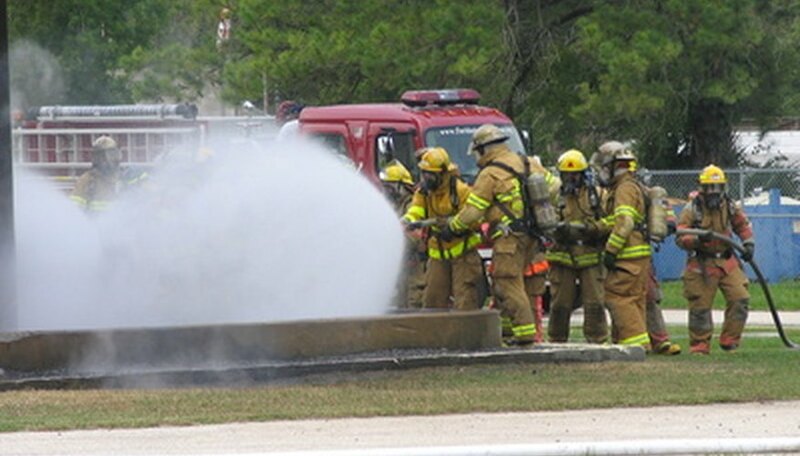 Federal, state, city and private firefighting departments have different physical exam requirements, and these requirements are periodically reviewed and revised. The most important aspects of physical ability is overall strength, with particular emphasis on leg strength and wind endurance (lung capacity and strength). The physical exams can take place either before or after the written exams. The applicant’s scores on the exams will determine whether he will be invited for an interview. Once hired, in order to ensure that firefighters maintain the necessary physical ability, testing is usually conducted every one or two years. The time it takes for the candidate to complete each aspect of the physical exams is considered the candidate’s “score.” Each event is assigned a maximum time limit for successful completion. Specific events are grouped together to make up some exams. The candidate could be required to go immediately from one event to the next within the test without stopping. The test administrator records the time it takes the candidate to successfully complete each event. 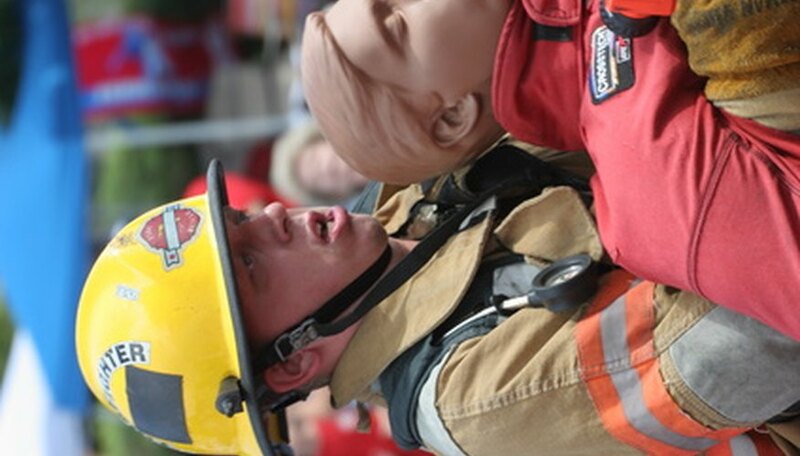 The PAT is commonly required for entry-level firefighter candidates. The test typically consists of three events: Charged Hose Pull; Forcible Entry and Ventilation; and Fire Extinguishing and Rescue. During these simulated events, the candidate must wear a helmet, gloves, bunker coat and self-contained breathing apparatus. The Structure Firefighting Fitness Test is actually a series of tests that are not performed in immediate succession. These usually consist of the Hose Advance Test (carrying a fire hose 100 feet in 23 seconds); Ladder Extension Test (operating a 24-foot extension ladder); Forcible Entry Test (driving a 160-pound steel beam a distance of five feet with a 160-pound plastic sledgehammer in 47 seconds using the Keiser Force Machine); and a Victim Rescue Test (dragging a 185-pound mannequin a set distance). Other components of the test include the High-Rise Pack Carry/Stair Climb Test (carrying a 75-pound “high-rise pack” up five flights of stairs) and the Crawl Test (crawling 36 feet through an obstacle course of traffic cones). 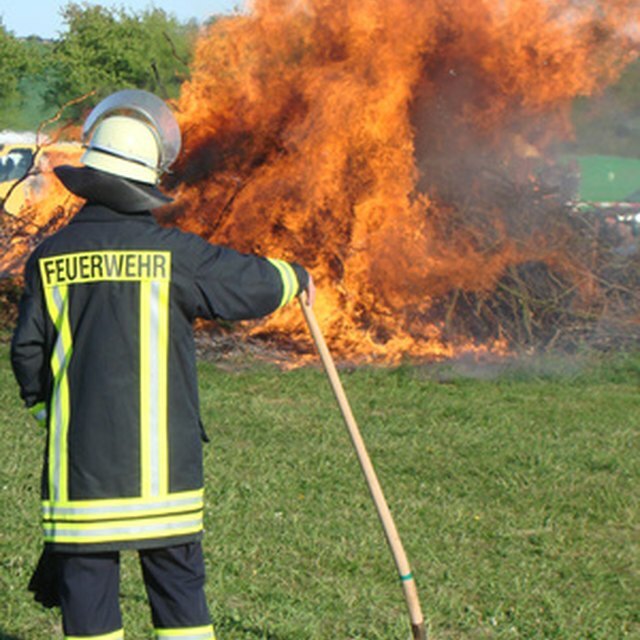 The federal government sets specific requirements for the Wild Land Firefighting Test (also called a “Pack Test”) that is required by all federal firefighting agencies. It is often conducted in extreme weather conditions and on steep ground. The candidate must be able to hike three miles carrying a 45-pound pack in 45 minutes.